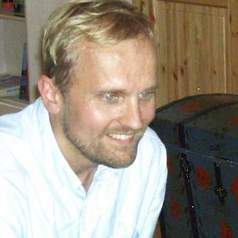 Professor Kivimäki joined the University of Bath in January 2015. Previously he has held professorships at the University of Helsinki, University of Lapland, and at the University of Copenhagen. Professor Kivimäki has also been director of the Nordic Institute of Asian Studies (Copenhagen) and the Institute of Development Studies of the University of Helsinki. In addition to purely academic work Professor Kivimäki has been a frequent consultant to the Finnish, Danish, Dutch, Russian, Malaysian, Indonesian and Swedish governments, as well as to several UN and EU organizations on conflict and terrorism. In his forthcoming book Failure to Protect. The Fatal Consequences of Military Humanitarian Intervention in Conflict (Cheltenham: Edward Elgar Publishing) Professor Kivimäki reveals some new patterns in contemporary warfare, and makes sense of them by looking at political discourses and cases of humanitarian intervention. Kivimäki's previous book Paradigms of Peace (London: Imperial College Press, 2016) assesses the contribution of various social scientific paradigms to peace research and peace and sets an agenda for constructivist pragmatist peace research. The Long Peace of East Asia by Kivimäki (London: Routledge, 2014) offers a constructivist understanding of the relative peace of East Asia since 1979. Kivimäki's book, Can Peace Research Make Peace. Lessons in Academic Diplomacy (London: Routledge, 2012), was nominated for the prestigious Best Book Prize by the Conflict Research Society in year 2014. Kivimäki's recent articles on peace and conflict topics were published in the Chinese Journal of International Relations, Pacific Focus, the Pacific Review, International Relations of the Asia Pacific, Journal of Peace Research, Asian Security and the Middle East Policy.